Act as busy one day you draw full stop finally , noisy town go from you far, you need one to belong to you and family's warm space, so the family seems still important to us, say the living environment of getting home, we have to discuss the family fit up , in the face of the brand of paint various in style on the market, we deserve OK the choice? Discuss how in home decoration to select the paint for use that here? (Now the materials, are only for reference. ) First, Natural crude lacquer : Have another name called (the paint , crude lacquer , soil paint , wooden paint , big paint in the country) ,There are the differences of crude lacquer , familiar paint. Crude lacquer poisonous ( Have irritated phenomena to the specific human skin) ,Paint the membrane coarsly, seldom use directly , make various kinds of refined paint after processing the ripe paint or modifying. Familiar paint it suitable fors to be dry among moist environment , is it paint membrane gloss kind tough and tensile , stability high to produce, acid resistance is strong, but it is slow to be dry. Through " Urushiol decorate the paint, bodiless lacquer craft paint " modifying, (heat resistance that " Urushiol able to bear waiting the heat-resisting heavy antiseptic lacquer " 350 Degrees Centigrade ) Paint serial products of phenol paint ,etc. Environmental protection nonpoisonous ( Do not have allergic response to people) It is dry and fast, It is tough and tensile to paint the membrane, Have prevention of corrosion, Able to bear the high temperature, Able to bear the strong acid , alkali , able to bear solvent dampproof and defending disinfects mouldly , able to bear the soil resisting well etc ,Can gush out and can paste up , construction is convenient, There is a natural characteristic , and is changed the simple characteristic deeply , can resume original bottom gradually after covering with paint , have wide use range, Used in the petroleum and store the pot and pipeline mainly, chemical industry equipment, metal products, vehicle, underground project, urban construction, the coal gas is purified, navigation naval vessel, fabrics machine, power plant , prints and dye , the heavy-duty antiseptic decorations of the mechanical equipment that the mine , food container , aviation , satellite , civil , wooden furniture of war industry , historical relic temple ancient building protect ,etc., Suitable for advanced family's scribbling and putting. Ester glue varnish: Also called and able to bear water varnish. Painting the membrane bright, it is good to able to bear the swimming skill, but the gloss does not last , the dryness is bad. Suitable for applying paint with a brush and metal superficial putting on the light of the wood furniture , doors and windows , wooden partition. Phenol aldehyde varnish: Commonly called as the bright paint forever. It is dry and very fast, it is tough and tensile and durable to paint the membrane, the gloss is good, heat-resisting , is able to bear water , able to bear the weak acid alkali , it is easy to be yellowing , relatively fragile to paint the membrane in shortcoming. Suitable for wood furniture doors and windows , apply paint with a brush and metal putting on light superficial of wooden partition. Alcohol acid varnish: Also called the Triratna paint. The adhesive force , glossiness , durability of this kind of paint are better than first two kinds. It is dry and quick , the hardness is high, can polish , polish , the color and luster is bright. But the membrane is fragile , heat-resisting , resists the atmosphere and relatively bad. Suitable for applying paint indoor doors and windows , ground , furniture ,etc. with a brush. Nitre base varnish: Also called clear spraying paint, cured gram. Have characteristic such as being dry fast , hard , bright , wear-resisting , durable, it is a kind of advanced coating , suitable for timber , metal superficial scribbling and replying decorating, is used in the advanced doors and windows , wooden partition , handrail. Shellac varnish: Have another name called and steep and set up water , alcohol and set up water allly , is abbreviated as the paint slice too. It dissolves the solution made of alcohol of more than 95 degrees with the worm film. This kind of paint is easy to use , dry and quick , paint the membrane hard and bright. Shortcoming to able to bear swimming skill , able to bear person who wait to be poor, sunlight is it can lose light is hot to will whiten while being hot while being sodden to shine suddenly and violently. 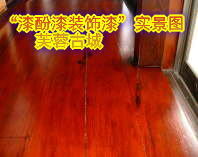 Generally used in the covering with paint of the indoor wooden furniture furniture. Acrylic acid varnish: It can dry normal atmospheric temperature have, have able to bear personning who wait, able to bear all, heat resistance, defending getting mould and adhesive force good, but it is relatively bad to able to bear the petrol. Suitable for spraying being oxidized the aluminium alloy surface dealt with by the positive pole. Third, mediate the paint It is a kind of most frequently used paint. The quality is relatively soft, even , rare and thick and appropriate , corrosion-resistant, able to bear shining , does not split for a long time , it is strong to hide strength, durability is good, construction is convenient. It divides into oil mediation paint and magnetic and mediates two kinds of paint, is suitable for magnetic and mediate the paint indoors, this kind of mediation paint is better than the oil mediation paint, it is relatively hard to paint the membrane, bright and level and smooth, but it is bad to be able to bear the waiting more oil mediation paint. Fourth, enamel paint It is the same as mediate the paint, is a kind of color paint too, but put into the inorganic pigment and make on the basis of varnish. Because paint the membrane bright , levels , fine and smooth , hard, the appearance is similar to the pottery or enamel. Enamel paint color is abundant , adhesive force is strong. According to the instructions for use, the ones that can not join with dosage in the enamel paint subdue all pharmaceutical, half make the light or unglazed enamel paint. Commonly used variety is phenol aldehyde enamel paint and alcohol acid enamel paint . Suitable for covering the timber , metal surface , furniture and wood inside and outside the room with paint to fit up etc..